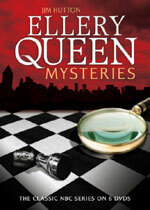 Ellery Queen: Mystery and Suspense on Television. 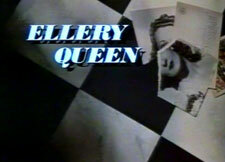 Ellery Queen aired for one season on NBC, from September 1975 through April 1976. A pilot episode, "Too Many Suspects", aired in March 1975. The series stars Jim Hutton as Ellery Queen with David Wayne as his father, Inspector Richard Queen. A feature of every episode was Ellery Queen, speaking to the viewing audience just before the denouement, saying, "Okay, you've got all the clues. Do you know who did it? I think I do. Can you guess?". Original air dates: 03/23/1975 (pilot); 09/11/1975 to 04/04/1976.